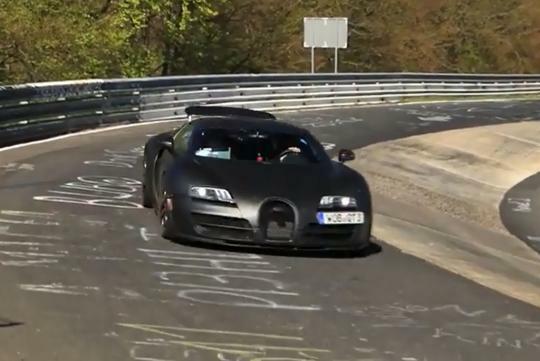 The upcoming replacement for the bugatti Veyron, said to be called the Chiron, is expected to be one of the fastest production cars in the world like its predecessor. Which also means it should have no lesser than 1,500bhp. The Veryon Super Sport, the most powerful edition of the Veyron, has 1,200bhp. While 1,500bhp sounds like a really huge number, the Koenigsegg Regera, a hybrid hypercar, is said to have more power and torque than the Chiron. We can already smell a two-way battle of the next generation hypercar brewing. On the topic of torque, the new car is expected to have 1,500Nm which is the same as its predecessor. With the new model said to be lighter, it should be able to hit its target of achieving the century sprint from a standstill in 2.0 seconds. Top speed is a projected 463km/h. For those with a lot of spare cash lying around, the Chiron should be revealed next year. For those who don't have that much cash, start visiting the nearest Singapore Pools outlet soon! Car makers built such car just so they can. To prove a point? Or to show off to other car makers?